Ukkirapandi MuthuramalingaThevar ( உக்கிரபாண்டி முத்துராமலிங்க தேவர்) (October 30, 1908 – October 30, 1963), also known as Pasumpon Muthuramalingam Thevar was an Indian politician. He hailed from the Maravar community, the dominant warrior caste group in his home district in southern Tamil Nadu. Thevar became the leader of the All India Forward Bloc in Tamil Nadu, and was national deputy chairman of the party from 1952 onwards. He was elected thrice to parliment. Thevar's father, Ukkirapandi Thevar, died on June 6, 1939. Thevar was introduced to political life through the bond built with his lawyer S. Srinivasa Iyengar during the disputes of family inheritance. Iyengar advised Thevar to participate in the annual conference of the Indian National Congress in Madras 1927. During that conference Subash Chandra Bose lodged as Iyengar's house in Mylapore. Thevar was very impressed by Bose. After the conclusion of the INC session, Thevar followed Bose to Calcutta. Following his return from Calcutta, Thevar began to study religious spiritualism, Tamil Language and classical literature. He was strongly influenced by thinkers such as Swami Vivekananda and Savant Ramalinga Adigal. He began to adopt a simple and strict lifestyle, as well as interacting all castes in the local communities. 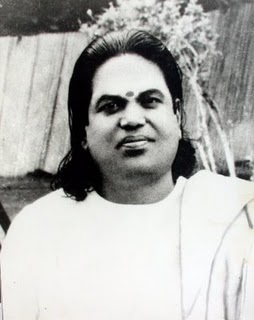 As an apprentice of S. Srinivasa Iyengar, Thevar was increasingly involved in the political activities of the Indian National Congress. He was active in the civil disobedience movement called by Gandhi, and acted as a courier between 1932-1934. Moreover he led temperance campaigns in Kallupatti, Mudukulathur and Kodhumazhur. His activities angered the colonial authorities, and he was jailed on several occasions. In 1934 Thevar organised a convention at Abhiram, which urged the authorities to repeal the CTA. A committee consisting of Thevar, Dr. P.Varadarajulu Naidu, Perumal Thevar, Sasivarna Thevar and Navaneethakrishna Thevar was appointed by the convention to carry on the efforts to persuade the government to revoke the Act. Following the election the Congress formed a government in the Presidency. Thevar had high hopes that the new Congress ministry would revoke the Criminal Tribes Act. But the new Chief minister, C.Rajagopalachari, did not fulfil those hopes. Thevar attended the 52nd annual session of the Indian National Congress, held in Tirupuri in March 1939. At this meeting the presidency of Subhas Chandra Bose was challenged by Pattabhi Sitaramayya. Sitaramayya had the active support of Gandhi. Bose was re-elected as the Congress President. Thevar strongly supported Bose in the intra-Congress dispute.Thevar mobilised all south India votes for Bose. The growing popularity in Thevar as a leader of elements opposing the official Congress leadership in Tamil Nadu troubled the Congress-led government. Thevar was also increasingly associated with labour militancy. A criminal case, the so-called Madura Security Case, was proceeded against him. He was banned from leaving Madurai. When travelling to his birthplace, Pasumpon, in September 1940 he was apprehended and jailed for 18 months at the Central Jail in Tiruchurapalli. His capture sparked wide condemnation in Tamil Nadu. Soon after his release he was arrested again under the Defense of India Rules. He was released from prison on September 5, 1945. In 1945 C. Rajagopalachari tried to make a comeback within the Congress organisation in Tamil Nadu. He had the support of Gandhi and Sardar Patel, but the majority of in the Tamil Nadu Congress Committee opposed him. A conference was held in Tirupparankundram, in which the leadership should be elected. Chaos broke about during the conference, as warring factions confronted each other. Thevar interrupted the disputes and passed a motion reelecting Kamraj as the TNCC President. On the national level the Forward Bloc had been suffering from internal ideological divisions. In 1948 two separate Forward Blocs had emerged, a 'Forward Bloc (Marxist)' (out of which the Forward Bloc of today emerged) and a 'Forward Bloc (Ruiker).On June 23, 1951, the two parties reunified at a meeting in Calcutta. A central committee was announced for the united party, which included Thevar as one of its members. FIRST GENERAL ELECTION OF INDEPENDENT INDIA: I In January 1952 the first general elections in independent India were held. The Forward Bloc contested with the aim of forming non-Congress governments at the Centre as well as in the states. Election were held simultaneously to the Lok Sabha as well as to the Legislatives Assembly Of The States. Thevar contested the Aruppukottai constituency in the Lok Sabha election and the Mudukulathur constituency in the assembly election. He won in both cases. After the election, he decided to vacate his Lok Sabha seat and concentrate his efforts to the Madras legislative assembly. A new dynamic in the efforts to build a non-Congress front had emerged in the Madras State(which had been reorganised in 1956). The Congress had been divided and C. Rajagopalachari had formed a new party, the Congress Random Committee (CRC). Thevar now made peace with his former enemy C. Rajagopalachari, and the Forward Bloc and the CRC worked together to defeat Kamaraj and the Congress rule in the state. A by-election was held in the Mudukulathur assembly constituency on July 1, 1957, as Thevar had resigned from his assembly seat. The election was won by T.V. Sasivarna Thevar of the Forward Bloc. The situation in the area was tense on the day that the results were released, and there was a sizeable presence of police forces in place. Clashes between Maravars, who largely supported the Forward Bloc, and pro-Congress Dalit began in a few villages soon after the election result was acknowledged. Gradually the violence spread to more and more villages, and by August the riots had spread throughout the entire district. Several persons were killed and thousands of houses were torched. Thevar himself travelled to Delhi on July 17 to attend the session of the Lok Sabha. He returned on September 9. On September 10 he took part in a 'Peace Conference' together with T.V.Sasivarna Thevar and Velu (a Dalit legislative assembly member of the Forward Bloc). From the Congress side six Dalits took part. There was also a delegate from the Thevar Trust. The conference concluded that the three castes should live in harmony. After being released from prison Thevar began mobilising for the Madurai municipal elections, held in March 1959. An alliance of the Forward Bloc,Communist Party Of India, Indian National Democratic Congress and Dravida Munetra Kazhagam was formed. The alliance won the elections, and for the first time Congress lost its hold over the city administration. Following the election, Thevar's health deteriorated and he largely withdrew from public life. He was nominated for the 1962 Lok Sabha election. However he only attended a single campaign meeting, which also was attended by C. Rajagopalachari (who now had merged with his INDC with the Swatantra Party). Thevar was reelected, but due to health reasons he was unable to travel to the parliament in Delhi. U. Muthuralingam Thevar died on October 30, 1963, on his 55th birthday. A bye-election for the Aruppukottai Lok Sabha constituency seat vacated by his death was held in 1964, in which the Forward Bloc was defeated for the first time. The pillars of Thevar's political thought were spiritualism,nationalism,anti-communism,anti-imperialism and non-Congressism (wanting to create a non-Congress political alternative). Although committed to the construction of a federal socialist India, Thevar rejected Marxism-Leninism as a foreign concept and he opposed the trade policy of the Soviet Union as discriminatory towards countries like India. But first and foremost, his animosity towards the communists was due to the rejection of the Indian communists of Subhas Chandra Bose (who they had called a 'qusiling'). His relationship to Marxism was further complicated by his spiritualistic orientation. After his death, the Forward Bloc entered into a period of decline in Tamil Nadu. The party leadership was overtaken by Thevar's disciple P.K.Mookiah Thevar. The party organisation became ridden by splits and disputes.In this situation, the major chunk of the Maravar vote-bank of the Forward Bloc was overtaken by the Dravida Munnetra Kazhagam and the All India Anna Dravida Munnetra kazhagam. Several official honours have been given to Thevar. In 1968 the Pasumpon Muthuramalinga Thevar College was founded in Usilampatti by the then DMK-led state government. His biography was included in the high school textbooks in Tamil Nadu. In 1971 his cemetery in Pasumpon was converted into an official memorial. A life-size portrait of Thevar was installed in the Tamil Nadu assembly in 1980. In 1984, after the bifurcation of the Ramnad District the 'Pasumpon Muthuramalingam District' was created. Greenways Road and Chamiers Road, two important arterial roads in Chennai, were renamed after Thevar,and currently there is a statue of Thevar where his eponymous road intersects with Anna Salai. And the one in Mumbai city which connects both western express and eastern express highways to the Mumbai airport the road earlier known as Sion-Mahim link road is renamed after Thevar. U.Muthuramalingam Thevar is revered as a hero of the Thevar/Maravar community. Thevar was become an icon in the political life in southern Tamil Nadu. Many political parties seeking the support from that community at the time of elections will make pay their respect to him.But at the same time his legacy is not entirely uncontroversial. At times violence between Thevars and Dalits flare up in the area, and desecrations of monuments of Thevar have taken place. History of the All India Forward Bloc. *THEVAR PEOPLE DEVOTION IN INA. *FREEDOM STRUGGLE BY THEVAR PEOPLE. ..THEVAR TRUST... Watermark theme. Powered by Blogger.